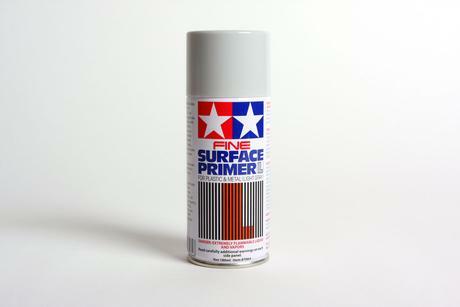 Tamiya Fine Surface Primer is ideal for preparing your plastic model parts made of ABS and Styrene plastic for paint. The primer may also be used for metal parts. The light gray color primer is great for dark color applications; while Tamiya's white surface primer is ideal for light color applications. Both primers bite well into plastic surfaces and even fill in small scratches and imperfections. Tamiya's surface primers may also be wet sanded before paint is applied. Each can contain 180ml.